Play the Game :- This is the screen containing list of levels and their scores. Obstacles complexity increases level by level. In the game screen there is 6 balls. 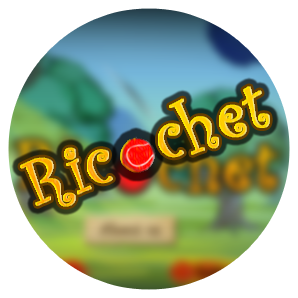 Player can ricochet the ball one by one. When player successfully move the ball to rainbow side then one of the leaf amongst 4 will be clover. Player can win the level and move to other level only after making 4 levels clover. Level 1 : Several non-moving obstacles like a wall towards the rainbow. Level 2 : Other non-moving obstacles and rod movement in the screen. Level 3 : Non-moving obstacles, water animation rod and the crusher ball which is the static big ball which will crush the ricochet ball if the ricochet ball hits them. Level 4 : Non-moving obstacles and two Leprechaun which are moving back and forth in a periodic order. The ricochet ball must not hit the leprechaun, or he will steal it. 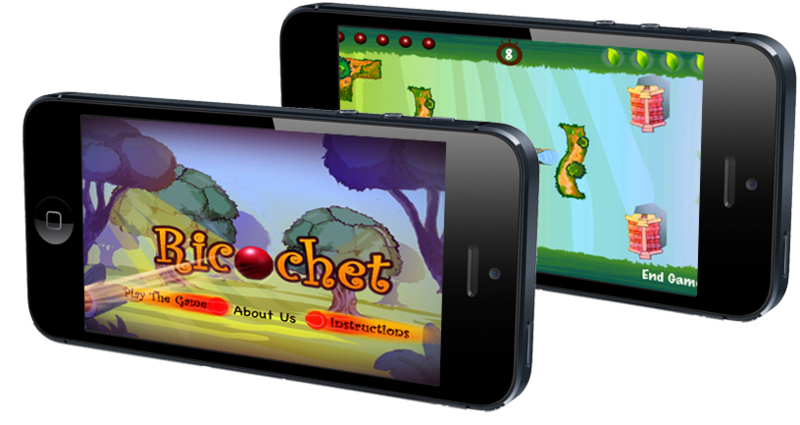 Level 5 : Non-moving obstacles, water animation rod, single rod movement and crusher ball act as hurdles to stop the ricochet ball. Level 6 : Static obstacles, crusher ball and two leprechaun moving back and forth in periodic order. Level 7 : Crusher ball, two leprechaun and two thunder rod which shows the thunder effect or make ricochet ball alive when ricochet ball touch to thunder rod. Level 8 : In this level there is list of hurdles which on one side of hitting with ricochet ball push back and on other side after hitting go to dead. Instructions :- This is the instruction screen give us the idea to how to play this game.